God's Own Country, Kerala, is an ultimate destination for every traveller. Where else in India can you find such soothing backwaters, laze by the glittering sand of pristine beaches and enjoy a refreshing climate amidst the land of coconuts? Certainly nowhere in the entire country you can witness such a flawless mix. Hence, Kerala has become a quintessential travel destination for tourists all over the world. However, did you know that this heavenly expanse is also home to some of the most famous pilgrimages centres in India? These centres are equally responsible for promoting Kerala Tourism and have their fair share in popularity. How about ditching the lush greenery of Kerala this time and indulging in the divinity of its temples and other religious sites? If you are keen on doing so, then read on to know more about Hindu pilgrimage sites in Kerala which are known for washing away the sins of their visitors. Ananthapura is a small village in the Kasargod district and is popular as one of the most visited pilgrimage centres in Kerala. It is known for Ananthapura Lake Temple dedicated to Lord Vishnu. As per Hindu mythology, the temple is believed to have been in existence for thousands of years and it is also said to be the site where Lord Vishnu in the form of Lord Anantha Padmanabha settled for a while. There is also a small cave present in the compound of the temple from where the lord used to visit Thiruvananthapuram. Located in the midst of a beautiful lake, this ancient temple also provides its visitors with a peaceful and relaxing environment. Do you know Ananthapura is also famous for the legends of Babia the crocodile? As per local legends, Babia is living in the temple lake for thousands of years and is the guardian of the temple. As of now, there has been no incident of Babia harming devotees in the lake. Isn't it interesting? If yes, then get yourself to this wondrous expanse and savour the beauty of its divine aura. Another pilgrimage site, Sabarimala is located in the Pathanamthitta district and is one of the most popular religious centres in the world. It is mainly popular for Sabarimala Temple, which is believed to be visited by millions of tourists every year from all over the world. It is also said that if you are an ardent devotee of Lord Ayyappa, the god of growth, then your trip to Kerala is deemed incomplete without visiting Sabarimala Temple. Located atop the lush green hills of the Western Ghats, this ancient temple provides its visitors with panoramic views of the town and can only be accessed through a trek. Despite being open to people of all castes and religions, it doesn't allow women from the age of 10 to 50 to enter its main hall. Isn't it strange? As the history of the temple dates back to the 12th century, it is also popular amongst history lovers. 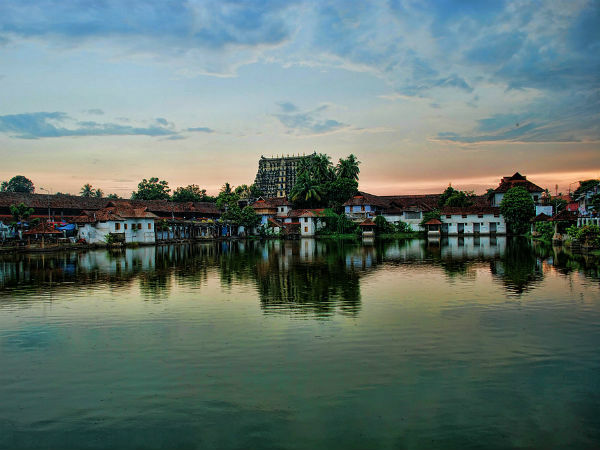 Even though Trivandrum houses tens of religious sites which are frequented by millions of tourists every year, it is mainly popular for the presence of Padmanabhaswamy Temple, one of the most visited temples in the country. Dedicated to Lord Vishnu, the temple dates back to time unknown and is one of the 108 holy abodes amongst Vaishnavites. You can also find the shrines of Lord Krishna and Lord Narasimha within the temple complex. Did you know it is the richest temple in the entire state as its assets, from gold statues to jewels, are worth more than 20 billion dollars? It is also one of the few religious sites in India where only people with the Hindu faith are allowed to enter. Nicknamed Dwarka of the South, Guruvayur is a small town famous for Guruvayur Temple dedicated to Lord Krishna. Even though the exact history of the temple is unknown, it is still believed to have been established more than 5000 years ago. Due to historical as well as religious significance, it is frequented by tourists of all kinds. If you are looking for a place in Kerala which is a perfect mix of nature, history and spirituality, then you must visit the temple town of Guruvayur. The presence of a peaceful environment will certainly help you soothe your mind, body and soul. The major festivals celebrated here include Janmashtami and Kumbham. Located in the Alappuzha district, Ambalapuzha is a beautiful town surrounded by lush vegetation and gorgeous streams and is popular for Shri Krishna Temple, which dates back to the Medieval Period of India and is visited by Hindu devotees and other history lovers from all over the country. It is also known for serving payasam, a rice pudding, to all the visitors, as it is believed that Lord Krishna used to come to this town every day to have this sweet pudding. Wouldn't you love to savour this tasty dish?